The makers have now released a trailer of Officer which leaves you with a déjà vu feeling because of two simple reasons – camera splashes and sounds in background music. Officer is slated to be released on May 25, 2018 worldwide and will be one of the most watched out for films in Tollywood for various obvious reasons. Nagarjuna and Ram Gopal Varma have collaborated for many movies like Shiva, Antham and Govinda Govinda which received a lot of critical acclaim. The duo is back now after almost two decades for a film titled Officer which will have Akkineni Nagarjuna playing a fierce cop. 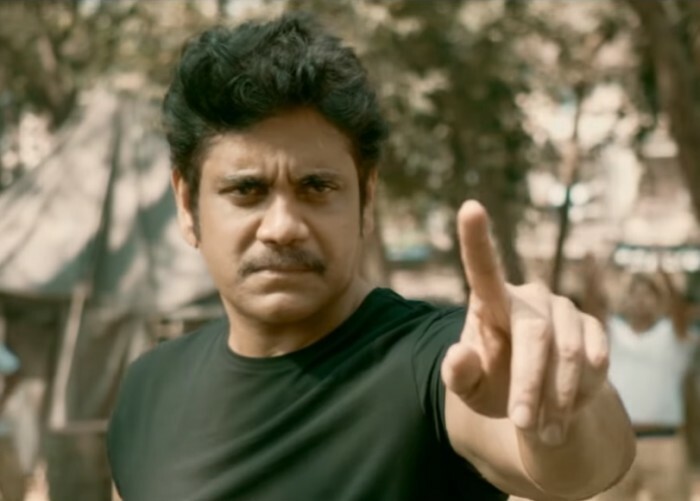 Expectations on Officer are quite high because of the successful combination of Akkineni Nagarjuna and Ram Gopal Varma. At the time when the film was being announced, Nagarjuna had said that he was blown away with the story after Ram Gopal Varma narrated to him. “Like he narrated the story of Shiva to me, Ram Gopal Varma narrated a brilliant story to me recently. I was taken aback by the story. If everything goes well, we will soon team up for a film,” Nagarjuna had said a while ago.